Who doesn’t love a vacation? It’s an opportunity to leave town, sip on Mai Tais by the pool, and work on that perfect summer tan. 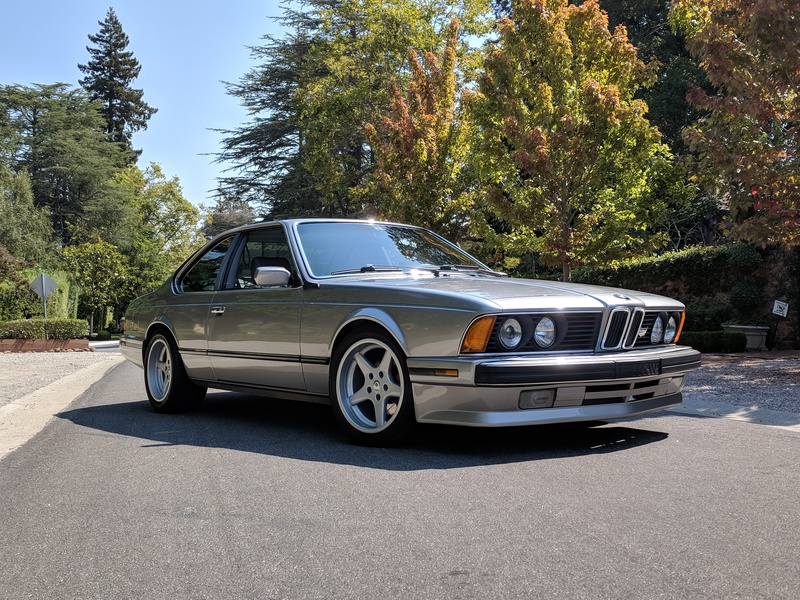 The only thing that matters is enjoying every minute of relaxation—that is, unless you’re trying to negotiate the sale and delivery of a 1988 BMW 635CSi sight unseen on the opposite side of the country. From the low-slung shark nose with its deep front air dam, the subtle strips of chrome and black trim that surround the windows and pillarless doors, to the clean downward swept trunk void of any brash spoilers, the aesthetics make perfect sense. 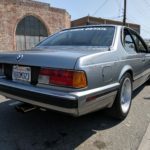 While we may know Taylor Griffith for being Mr. 5-series, truth be told that he was into the BigCoupe scene ever since his first car. 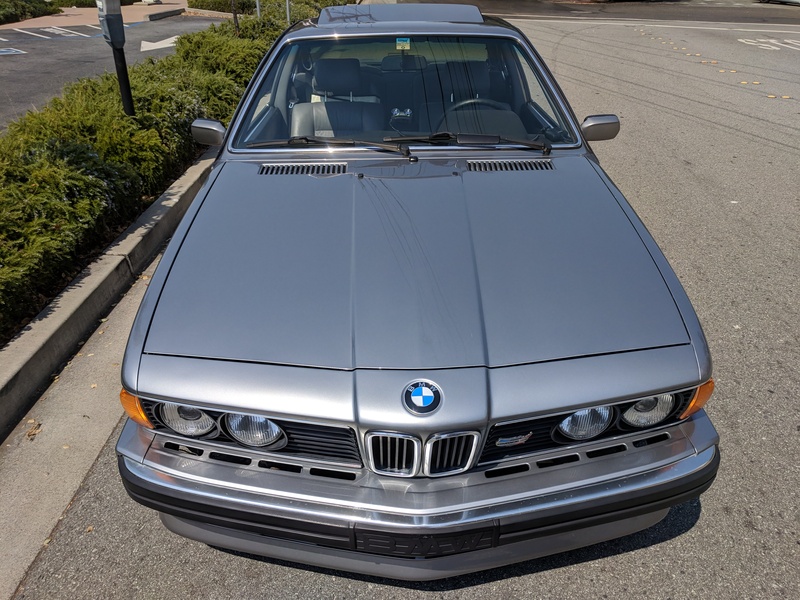 That first car was his dad’s old 1988 635CSi in salmon silver (Lachssilber) over a grey interior. Within a few years of owning it, the 635 was slowly modified to Taylor’s liking. The ultimate upgrade being to swap the slushbox for a proper 5-speed. Like many of our youthful days, this first 6-series met an untimely demise sliding up a curb into a utility box. 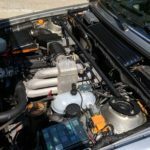 Shaken, but not completely stirred, Taylor found an identical 635CSi and began transferring his old parts over. The cosmetics were rougher this time around, but eventually he got the car repainted and looking just as good. 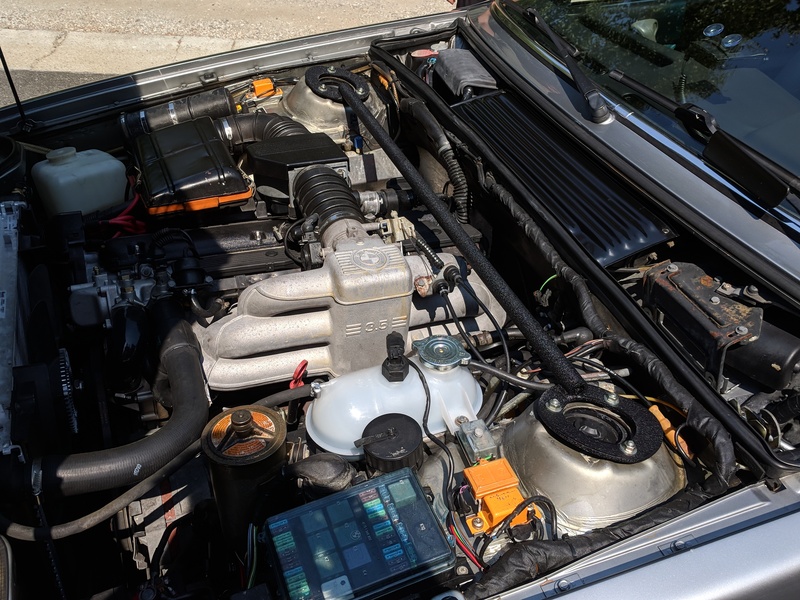 The 5-speed was the last piece of the puzzle, and once it was swapped into Shark 2.0, T-Griff was back in business…for a measly three weeks. While making a left turn through a busy intersection, the poor 6er was fatally T-boned by a pizza delivery driver. Thankfully Taylor wasn’t too banged up, but the car was totaled. The second crash really lowered everyone’s morale, especially since so much work had gone into the car in just a single summer. It was time to move on. That was 2012. All hope wasn’t lost though. 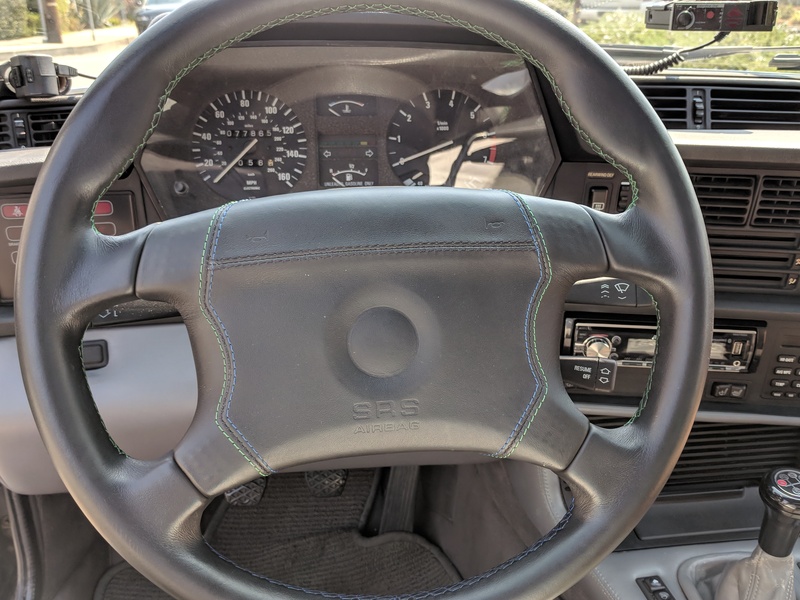 Taylor didn’t give up on owning another Bimmer, and eventually purchased the green 540 that he still has today (amongst others…). As we all got out of school and moved into the working world, the cash flow began to stabilize. 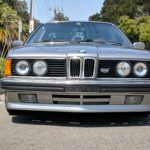 When someone purchased a red e30 as a means of recapturing their younger days, the gears started turning once again, and Taylor was on the hunt for another 635. For round three, Taylor was dead set on a Lachssilber over gray ‘88, just like the first two. This time though, the car had to be a factory 5-speed. 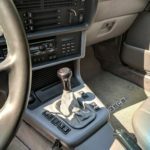 With a mere 185 US cars ever sold with a manual transmission for 1988, finding one would be a challenge as is, let alone in the ideal color scheme. 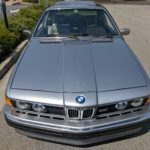 While on vacation in Hawaii, Taylor stumbled upon a listing for his dream 635. It was the right color, it was a factory manual transmission, and best of all, it had less than 75,000 miles on the clock. If there was ever a car, this was it. 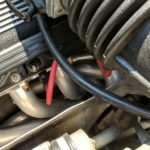 However, there were two obstacles that separated Taylor from his perfect 635: The first problem was that he needed to make room in the driveway, meaning one of the cars had to go. The second issue being the car was located on the absolute opposite side of the United States…Miami, Florida. Cue Jan Hammer. Quick on his feet, Taylor managed to have his 2001 M3 convertible sold by the time he arrived back on the mainland. 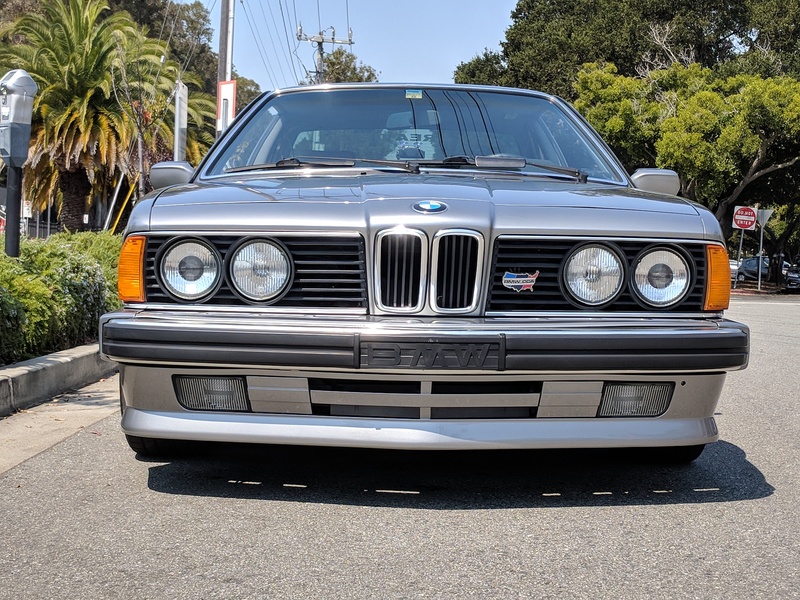 With the M3 gone and payment sent for the 635 sight-unseen, the seller just needed to put the shark on a trailer and send it out west. Three weeks go by the car has yet to be seen. Not exactly a reassuring feeling with such a large purchase. When the car finally showed up, Taylor was able to assess whether he had made the right choice. After giving the car a thorough cleaning, the 635 proved to be in fantastic cosmetic condition. Nearly thirty years after leaving the factory, the metallic silver paint was still full luster. 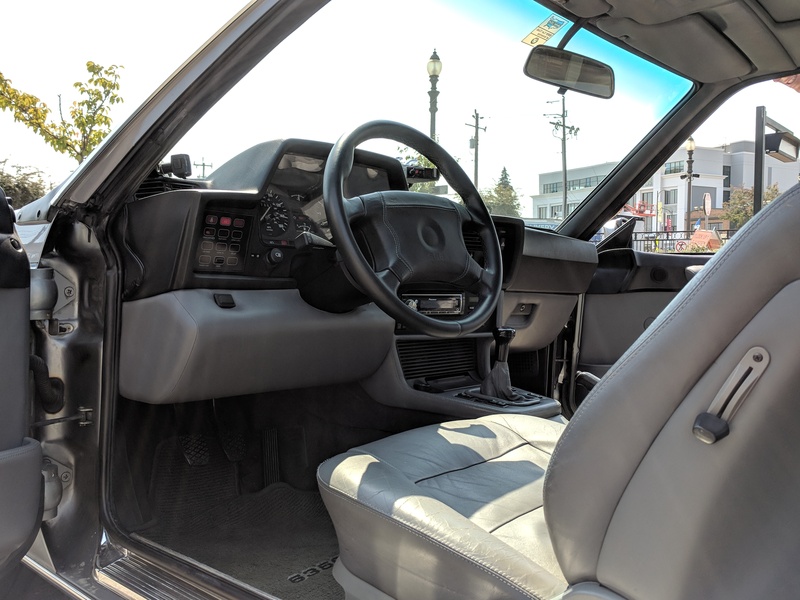 The interior was equally immaculate. 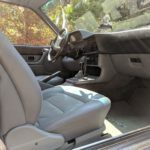 The grey leather looked and smelled just like a new car. 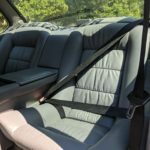 It was very clear that the car had been adult owned its entire life. The same could not be said about the rest of the car though. The first test drive confirmed that the entire suspension was original, and more importantly, completely shot. 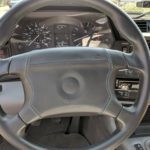 A 6-Series BMW isn’t going to have the precision of a sports car, but the steering wheel shouldn’t feel like it’s connected to a rudder either. 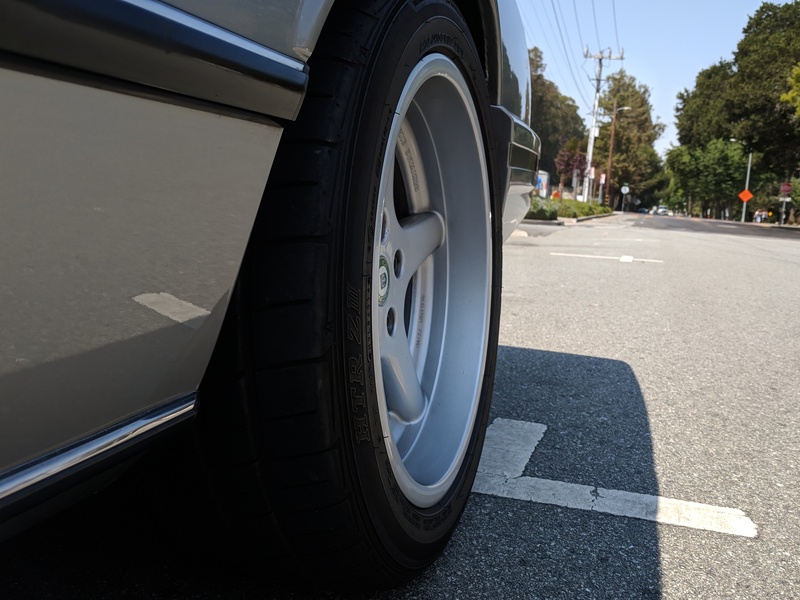 To add insult to injury, the rear self-leveling suspension had collapsed, making the car look more like a wannabe lowrider than a sleek European coupe. Most people would have been royally upset if one of their dream cars was less than perfect, however this was all in the plan for Taylor. 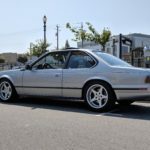 Right off the bat, the mundane 16-inch 840i wheels the car arrived with were ditched for a set of staggered 17-inch Racing Dynamics RGP wheels. 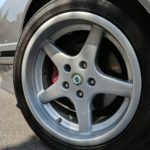 The fronts are 8.5 inches wide and wearing a 245 tire, while no room was left to spare out back with 9.5’s shod in a 275 tire. Remember the two other 635s Taylor owned? Most of those parts were saved over the years. 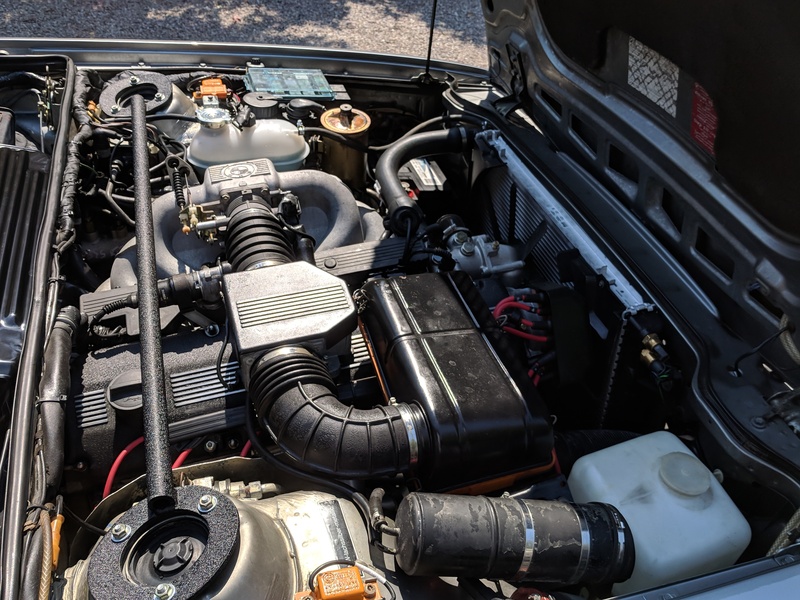 These included a big bore throttle body, rebuilt steering box, and custom strut tower brace, which soon made their way onto the car. The rest of Taylor’s trick parts were sold off with the previous shell, but everything was still local. 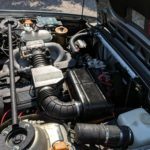 That meant he was able to purchase back his Bilstein Sport shocks and H&R springs, Suspension Techniques sway bars, and the ever elusive “medium-case” 3.91 LSD. 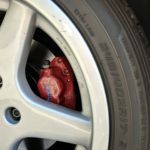 To keep everything in check, the brakes were beefed up using e24 M6 and e34 540i components for the front and rear, respectively. As the 6 was getting revitalized, there was one more purchase necessary to top off the initial modifications. 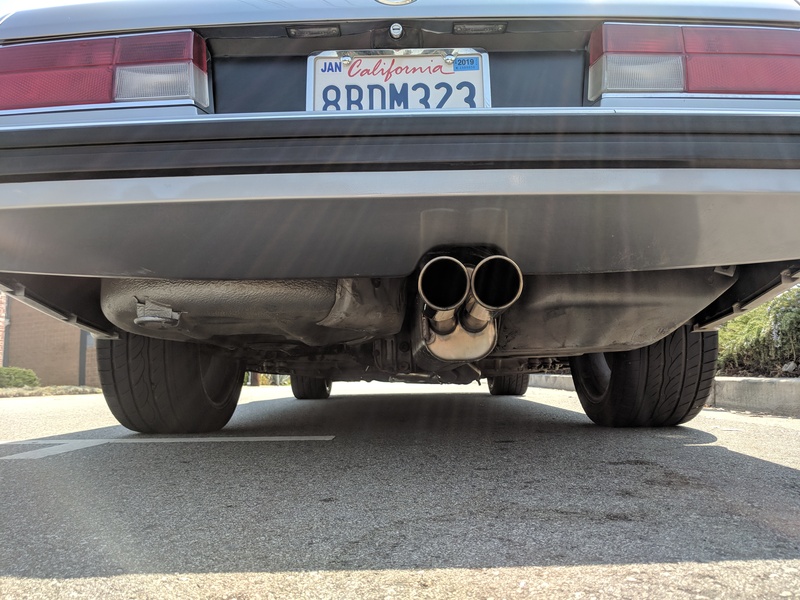 It wouldn’t be a T-Griff build without the obligatory sports exhaust. 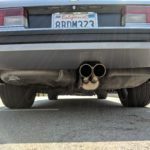 For round 3, the m30 would tout its anthem through Ireland Engineering headers and a Billy Boat muffler. All is right in the world once again. 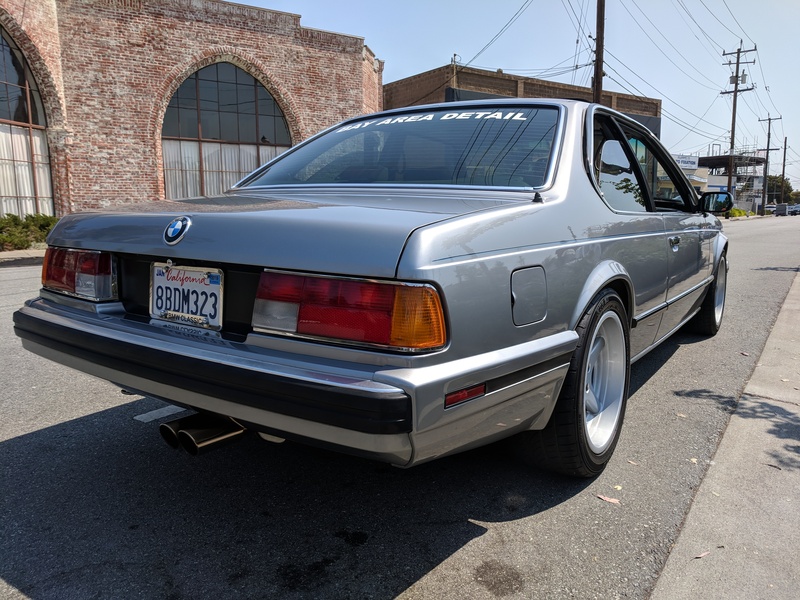 Very briefly I had gotten the chance to drive the e24 when Taylor first took delivery. It was late at night, and at the time we both had a good laugh at the tired state of the suspension. Several months had passed by the time I saw the car again, but this time very much improved. 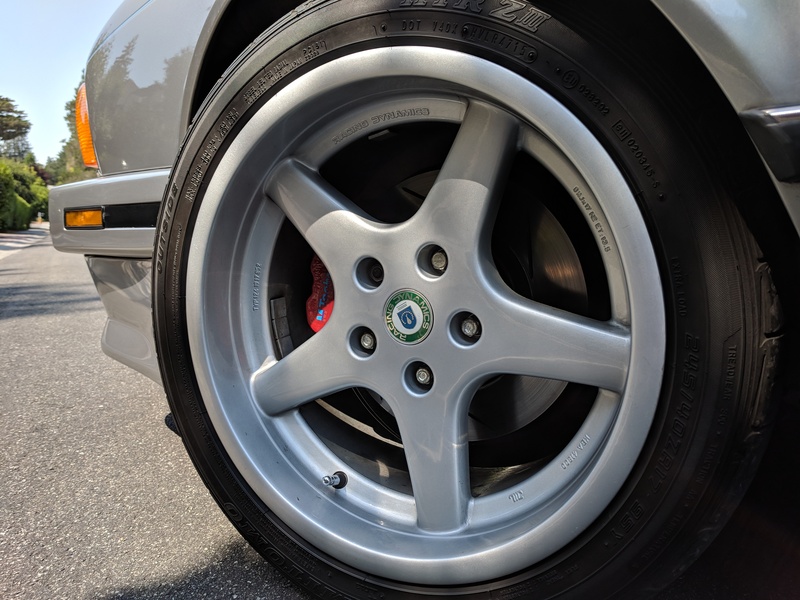 It’s amazing what a good wash, larger wheels, and a subtle drop can do to a car. The car went from old man Sunday driver to a stylish GT machine. With the right stance, everything starts to come together. From the low-slung shark nose with its deep front air dam, the subtle strips of chrome and black trim that surround the windows and pillarless doors, to the clean downward swept trunk void of any brash spoilers, the aesthetics make perfect sense. As much as we all like to stare at the car, getting behind the wheel is where the real experience lies. 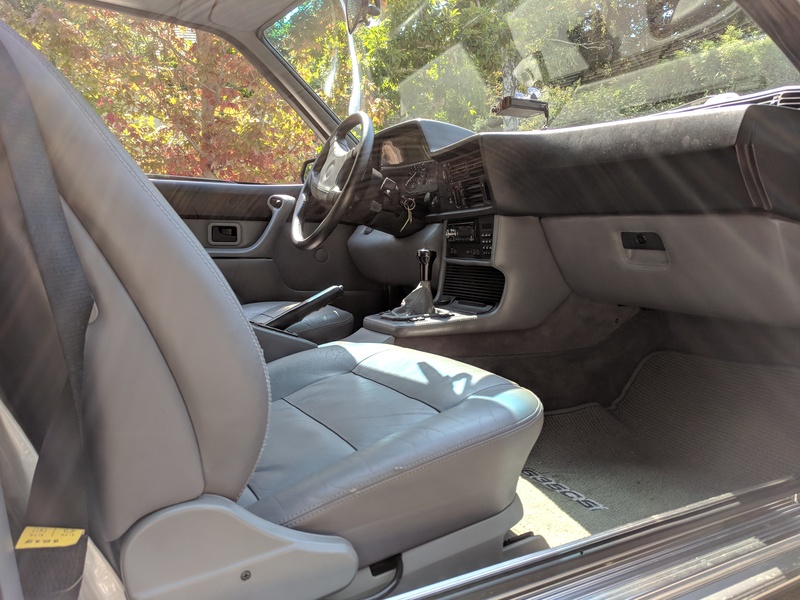 Immediately you’ll notice just how much leather fills the interior. 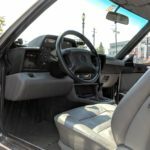 Not only are the seats leather, but so are the door cards, sun visors, and even the headliner. Being a late model “Highline” car, Taylor’s 635 is loaded for 1988. 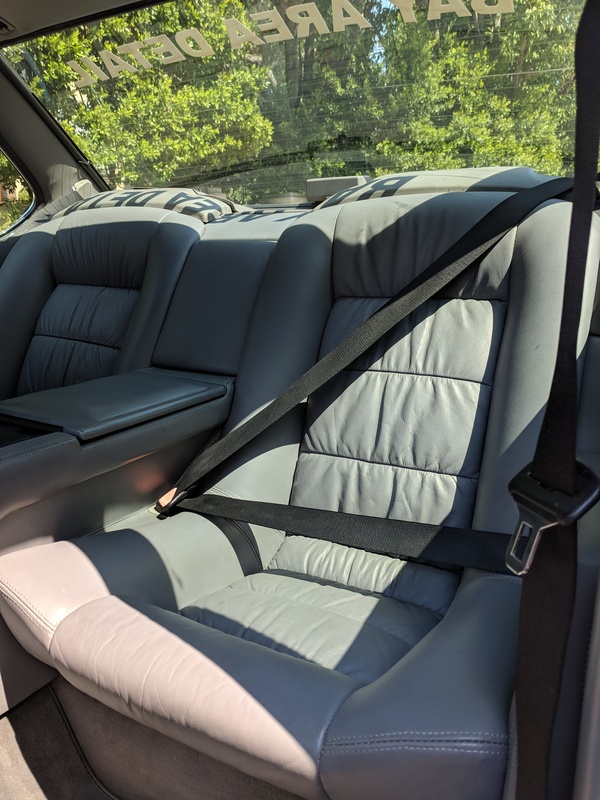 Electrically adjustable heated seats, trip computer, and even a rear center console beverage cooler. As to how anyone with a pair of legs could fit in the back seat still remains a mystery. 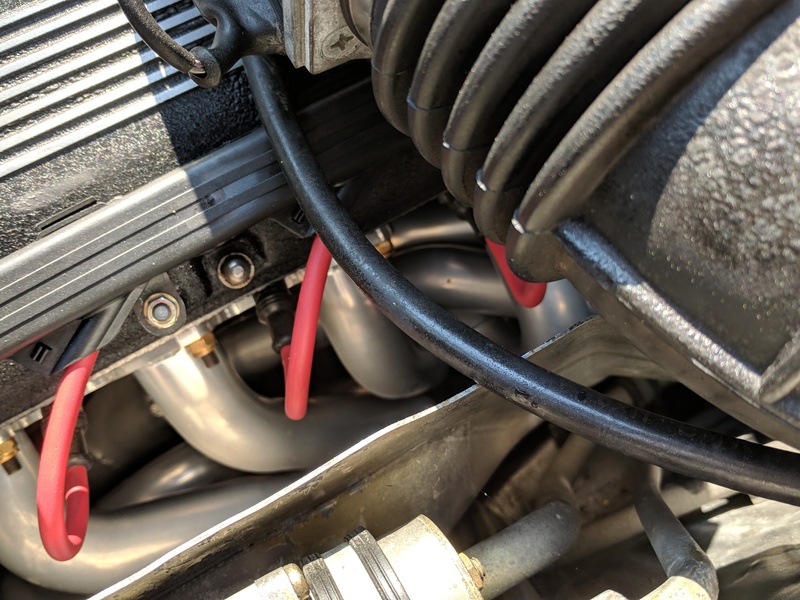 Fire up the venerable m30 straight six and you’re met with the distinct sewing machine rhythm. 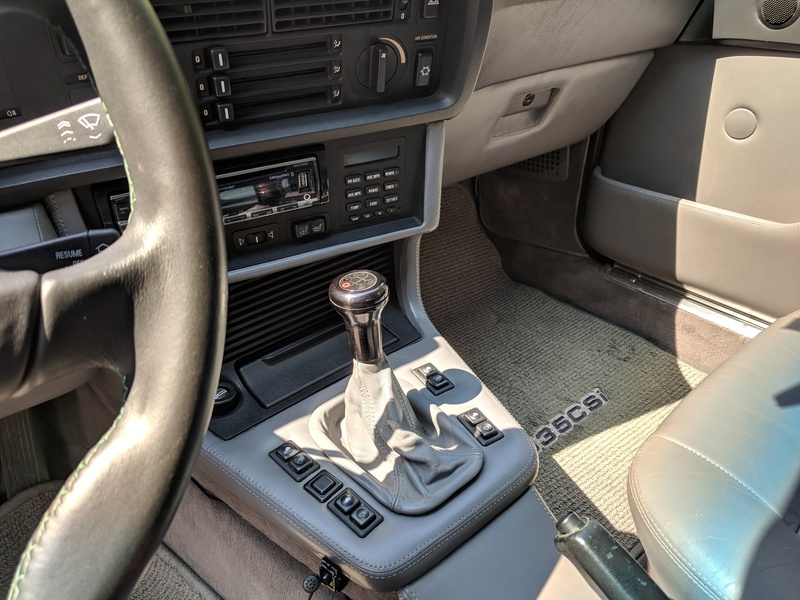 Getting the car into gear can be a bit of a reach as the shifter sits further forward with longer throws, but it’s a simple reminder that it’s not a race car. Once on the move, it’s apparent that Taylor’s suspension work has really paid off. The car is noticeably firmer than stock, yet still capable of soaking up a lot of the bumps without much fuss. 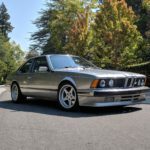 Unlike other 5 and 6-series cars of the same vintage, the turn-in response is very sharp. I later learned the secret lies within the sealed spherical bearing control arms. It’s still a lot of car to hustle around a corner (c’mon, at least six cows make up the interior alone! ), but a vast improvement over stock. 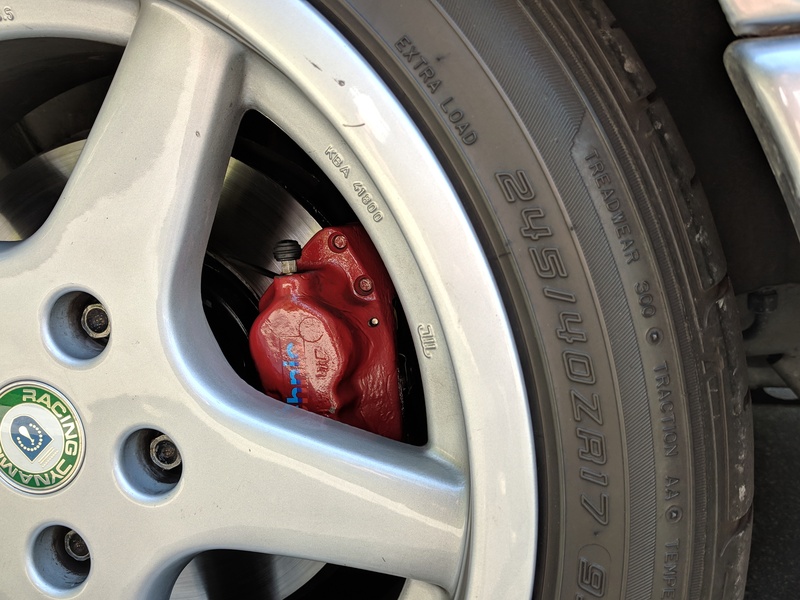 Put the loud pedal to the floor and you’re met with just that, noise! The m30 is a low-end grunt machine, and the mid-range pull is what this motor does best. It’s not crazy fast, but the shorter gearing makes sure that the 635 is always ready to go. If you’re willing to wind it out past 6,000 RPM, the custom exhaust really comes alive. In the high revs, it’s like the engine has forgotten its roots in München, only to have been heavily influenced by the Mediterranean neighbors to the south. Don’t worry though, nobody was caught wearing prancing horse polo shirts with matching driving shoes. To really appreciate the 635, you need to leave the city streets behind for the open stretches of highway and sweeping backroads. 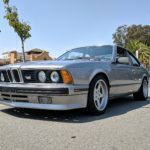 With no stop signs in sight, the e24 can really strut its stuff. As the speedometer climbs, the car begins to settle into its own. 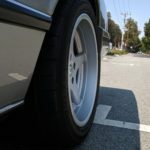 That’s what makes the e24 a proper grand tourer: It’s a big, comfortable, and meant to pile on the miles. Yet for all its manners, the 635 still packs an edge, even after 30 years. Perhaps therein lies the true appeal of the original 6-series, as this car’s intentions are very clear. 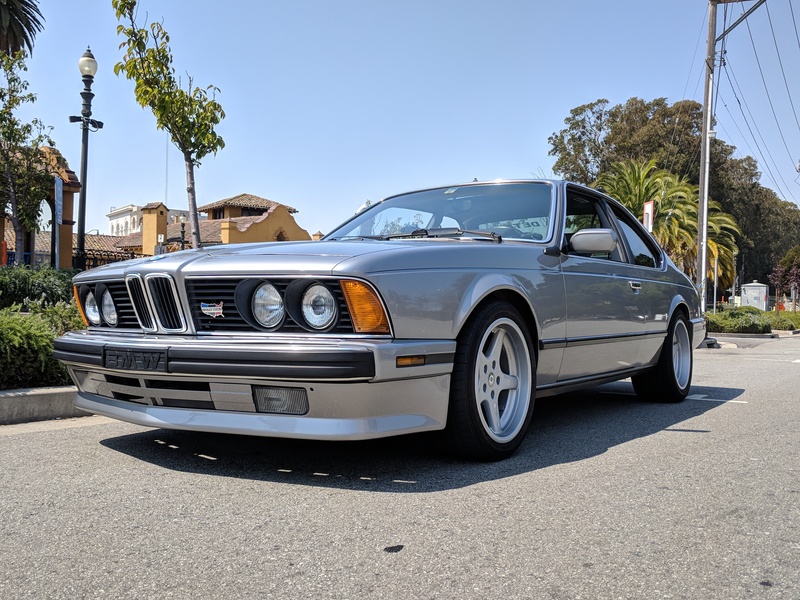 It’s a proper cruiser, but it also has no shame reminding you of the playboys and Wall Street executives that originally threw down fifty grand in 1988 to drive this car. 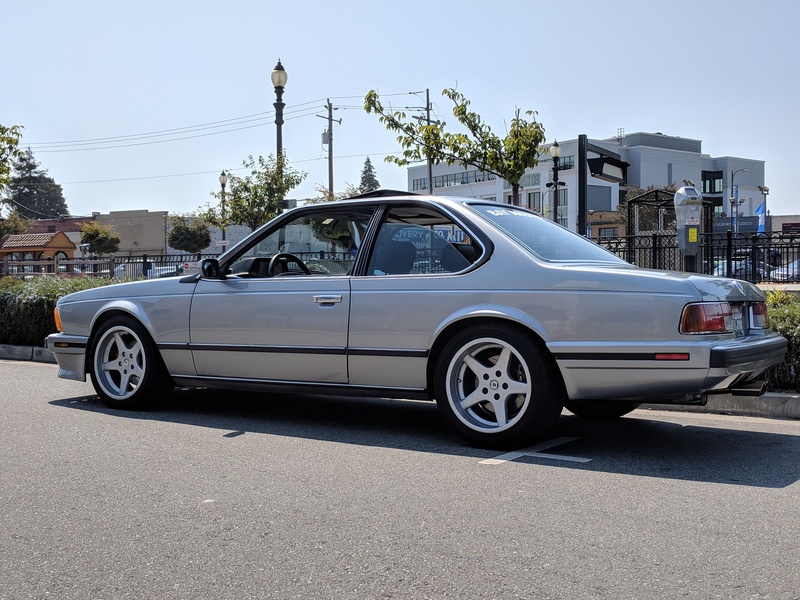 Whether it’s then or now, the 635CSi is still the car you can bomb to Vegas late into the night. Once you’ve arrived, at least one of your friends is going to make some poor decisions in the span of 48 hours. That’s only part of the adventure though, as getting there in style is equally important. If you want to swim with the sharks, you’ve got to roll with one first.